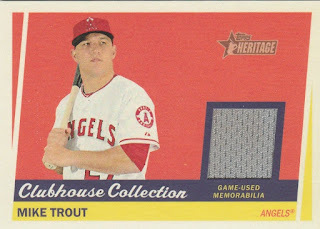 When it comes to a sure thing in baseball cards, nothing comes closer than the Topps Heritage series. Continuing with the trend of merging the current with classic, Topps makes a smash hit with their 2016 Topps Heritage set. Paying homage to the 1967 Topps card design, this year’s Topps Heritage series is perfectly timed with the start of the spring training season. As the 2016 crop of veterans and rookies take the field with fresh faces and the uniforms of new teams, fans and collectors can get a similar rush of excitement by delving into the 2016 Topps Heritage set. Staying in line with past Topps Heritage releases, this year’s series will keep collectors busy trying to pursue a master set, with 75 short prints, as well as a myriad of image variations to chase down. The design of the base set also has a fine touch of including dual rookie cards of the top young talent that will impact the major leagues in 2016. Going past the base set and its variations, there are also Flashback inserts paying tribute to significant happenings of the 1967 season, as well as the classic Then and Now inserts that help to merge the stars of 1967 with 2016. Each box guarantees either one autograph or one relic card. The autograph checklist for this year’s product is rather strong, featuring Real One single, dual, and triple autographed cards, as well as rare cut autographs of deceased players from the 1967 set. 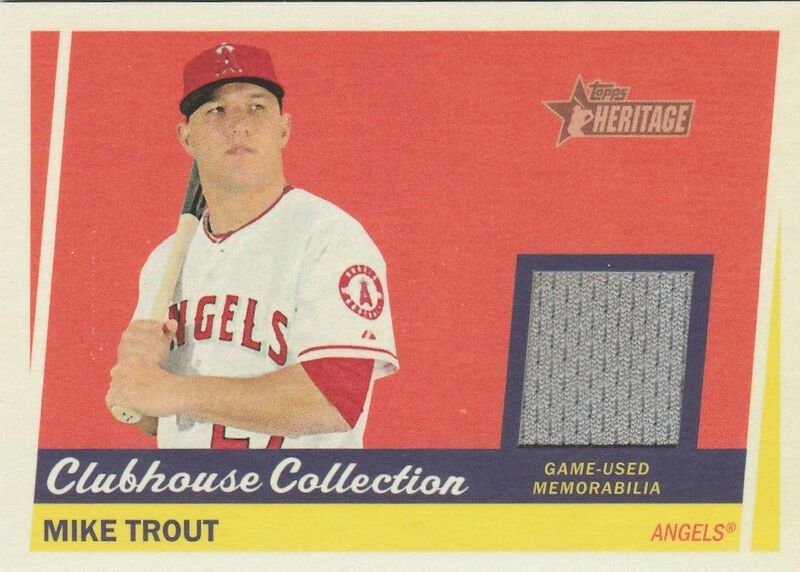 The box provided for this review produced a Mike Trout Clubhouse Collection Relic, highlighting a game used jersey from arguably the top young star in the game. Whether it is the nostalgic design of the 2016 Topps Heritage set, the many layers of their master set, or the desirability of their autographed inserts, this year’s Topps Heritage set proves that if there is one Topps product that you have to put your money on, it’s this one.